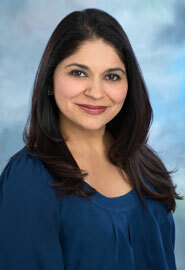 Dr. Sunita Mann is a board certified physician who practiced Radiology for 13 years in Ocean County. In 2013, Dr. Mann had a life-threatening anaphylactic reaction while performing a procedure on a patient and realized that she would be unable to continue in her specialty without placing herself at risk for another event. After recovering from this near-death experience, she began the journey towards wellness and decided that her new-found knowledge could help others dealing with chronic diseases or general feeling of being unwell. She began her certification in Functional Medicine and obtained training in Rejuvenation Medicine so she could offer these specialties and techniques to her patients. Dr. Mann’s background in imaging diagnosis provides a perfect background for her new role in creating an individualized, and truly patient-centered evaluation and treatment plan. Her strongest belief is that “usual and standard” assessments and treatment decisions are not the same for everyone suffering from a specific chronic disease or combination of symptoms. Dr. Mann believes that the underlying cause of many chronic diseases may be similar but the course of action for each patient will differ significantly based on their unique genetic predispositions, lifestyle choices, and nutritional factors. She uses her Functional Medicine training to develop individualized techniques based on a complete assessment of the individual, instead of treating a list of symptoms. During an initial comprehensive consultation with Dr. Mann, she will take a complete history and perform a physical exam, as well as a complete nutritional and biometric analysis. In addition, she will advise on the correct Individualized Laboratory Testing needed to look at the “root cause” of the problem and then recommend a course of action in which both Dr. Mann and the patient are partners in the healing process. Dr. Mann has now added Rejuvenation Medicine to her Wellness Center in the hopes of offering people a chance to look their best as they achieve their personal wellness goals. With this in mind, she obtained specialized training in Platelet Rich Plasma techniques, which use the patient’s own blood to treat and often reverse the damage caused by aging.